The rapids are created by an islet in the middle of the Mekong River, some 3 kilometers from Chiang Khan, which forces the water around and thus increasing the speed of the river. Kaeng Khut Khu is well known for its colorful boulders that can be seen when the water levels are low and while you are here, on the opposite bank of the River, you can see 'Chana Kham', in the Vientiane District of Laos. For visitors, there are traditional north-eastern restaurants on the riverbank selling grilled fish and freshwater shrimp of course, and a boat can be chartered to enjoy some magnificent views along Mekong River. If you spends some time here, you will hopefully see several small boats trying to navigate their way through the fast water, which can be most entertaining on the right day. 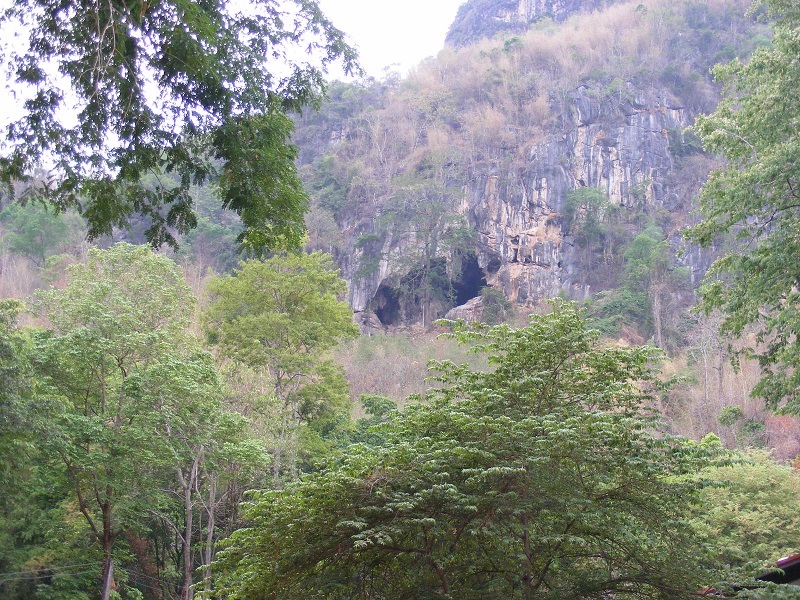 This is not a location which I would consider a 'must see' attraction, but if you are in the area, visiting other attractions, then a little more effort to come here is no hardship, providing you visit in the dry season between late October and the end of May. 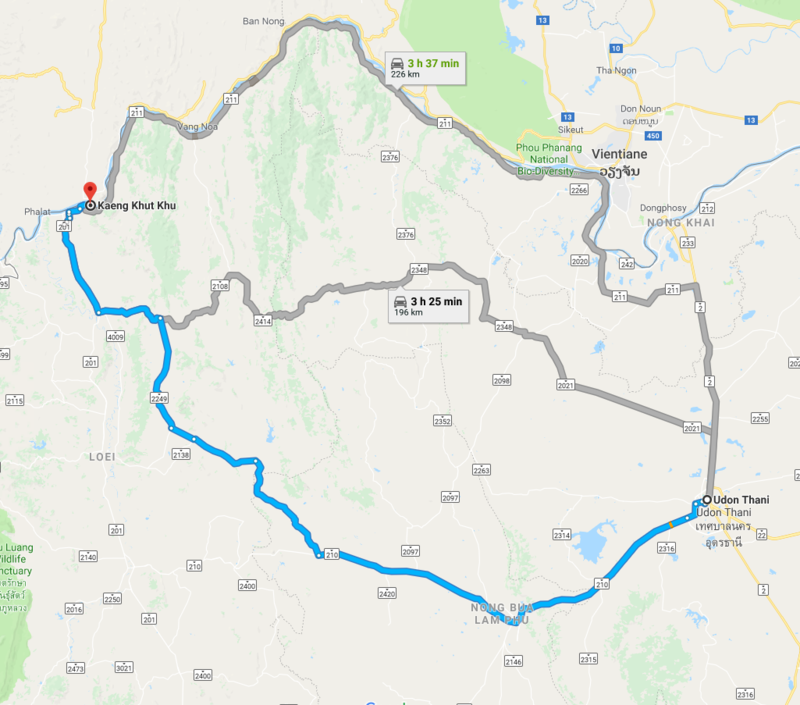 To get there from the city of Loei, take the Loei-Chiang Khan road and drive for 47 kilometers, turn right and proceed for another 3 kilometers to Amphoe Chiang Khan.